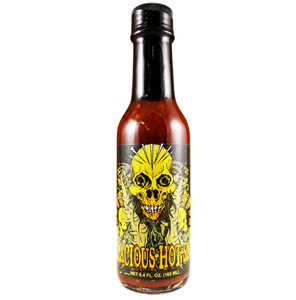 Elijah's Xtreme hot sauce is a combination of Naga Jolokia and Habanero peppers. 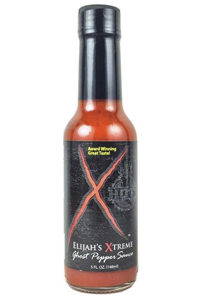 If you love that initial kick from Ghost Pepper but want to still enjoy some great flavor, then Elijah's Xtreme is your perfect hot sauce. 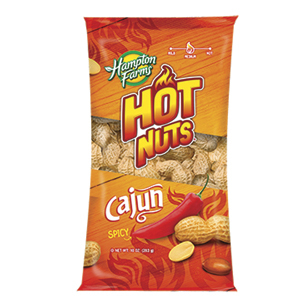 Ingredients: All Fresh Ingredients. Gluten Free. 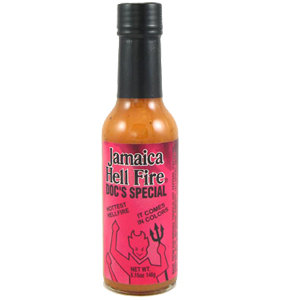 Vegan Pepper Blend Naga Jolokia (Ghost Pepper) and Habanero Pepper. Tomatoe Base. 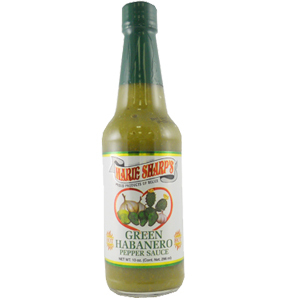 Marie Sharp's Green Habanero Hot Sauce with Prickly Pear 10 fl.oz.